Photo by Dr. Andrew Gulliford. 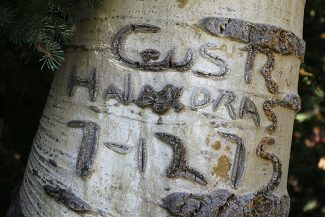 In this arborglyph in the White River National Forest, Gus Halandras from Meeker, Colo., carved his name in a tree along a stock driveway. 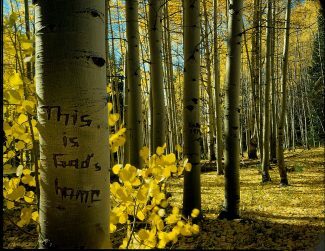 "This is God's Home," an arborglyph in the White River National Forest. Photo courtesy of the Jouflas family. Photo from the Walker Art Studio Collection, courtesy of the Center of Southwest Studies, Fort Lewis College, Durango, Colorado. Andrew Gulliford is a hands-on historian. 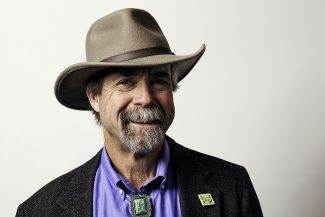 His book, The Wooly West: Colorado's Hidden History of Sheepscapes, was selected as the Outstanding Nonfiction Western Heritage Award from the National Cowboy Museum. In researching the history of sheep in Colorado, Gulliford said he knew it was unacceptable to ask a rancher the size of his ranch. In interviewing one rancher, he, instead, asked what his annual dog food bill is. When the answer was $30,000, Gulliford said he understood the scope of the operation and the industry. 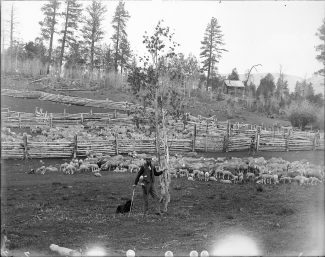 Gulliford, who is a professor of history at Fort Lewis College, said the book is the first written about the sheep industry in Colorado in 60 years. He said the book spans sheep's arrival with the Spanish and how they helped settle the West. Gulliford said he covers the violent sheep and cattle wars and how time changed the industry. "The families that I really enjoyed meeting and learning from are Greek, Hispanic and Basque," he said. 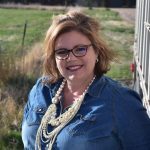 "The Basques are primarily south of I-70 in Colorado, the Greeks are on the I-70 corridor and north, and I think it's extremely important that these are families whose grandparents and great grandparents didn't speak English and now, they're some of the largest ranching families in the West." The sheep and cattle wars. Gulliford said, were devastating from the 1890s to the 1934 enaction of the Taylor Grazing Act, which eliminated itinerant grazing. "Sheep can graze much higher than cattle on public lands so they can be out of the way of the cattle, but not in the winter," he said. 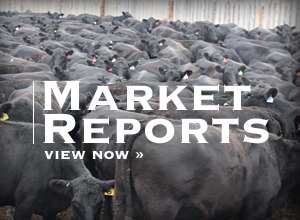 "The competition for the winter grazing of public land was intense." As sheep were coming into Colorado from New Mexico, Utah and Wyoming, they were killed and herders threatened and murdered. 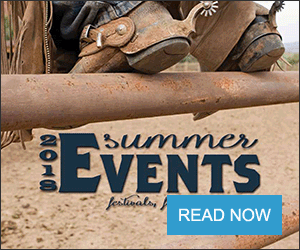 One of the most powerful stories in the book, he said, recalls an incident near Ten Sleep, Wyo., in which three sheep producers were murdered and their camp set on fire. "Because they were French Basque, it became an international event," he said. "Going through the Wyoming archives, I actually found letters from the French Embassy and letters from the governor." 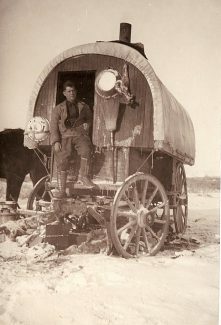 The most gruesome element is the possibility that the men were wounded but not yet dead when the wagon was set on fire. The Ten Sleep Murders, he said, were essentially the end of the cattle and sheep wars in Wyoming, prompting the governor to say the territory wouldn't be able to become a state until the violence was controlled. Research for the book was a lengthy process and the stories and accounts Gulliford discovered are interesting parts of the state's and the industry's histories. Commensurability, he said, was a requirement of the Taylor Grazing Act. Prior to the act, owners could bring sheep in by rail, graze them all summer, and sell the lambs without owning any land. Commensurabilty required that producers be able to utilize as much private land, owned or rented, as public land. 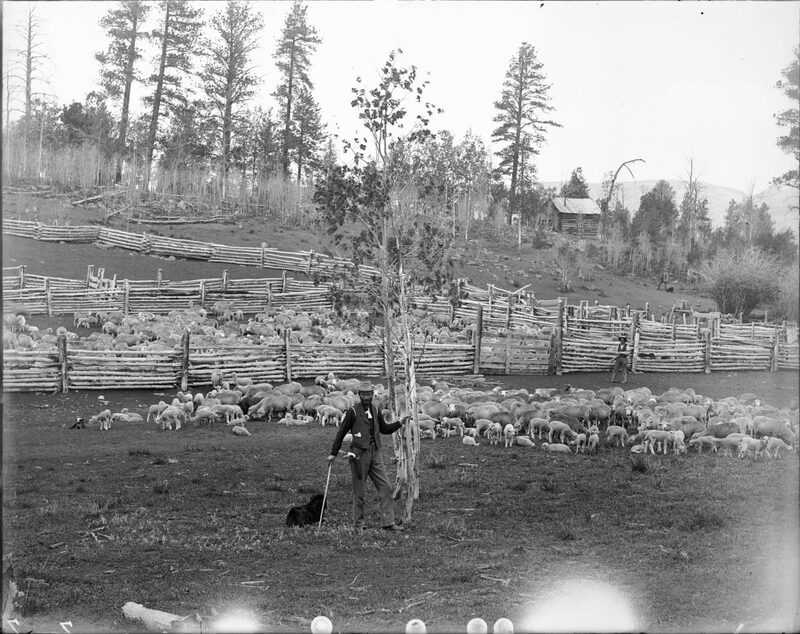 To meet the requirements and to grow their operations, many sheep owners purchased land in the high country for the grass, uninterested in the abandoned homestead or mine. Some 60 years later, the descendants of the sheep men were approached by investors hoping to build ski areas. The base of the ski lift at Vail, he said, was surveyed incorrectly, with the base being located on private land. The developers made several attempts to purchase the property, all met with the return of a torn check. "They eventually showed up with a bottle of Ouzo and a checkbook and that was the first sale of private land in the Vail Valley," he said. "These families are really interesting." Gulliford said cattle came into the state from Texas and the cowboys would cut fences to graze as they moved through, abusing the land and receiving little argument from compliant Hispanic sheepherders. "These Texas cowboys started running into Basques and Greeks and they shot back," he said. "That hadn't happened before so when the Basques and the Greeks in the early 1900s started holding their ground, having Winchester 30/30s and using them, that's a whole different twist." One of the tamer tales is that of arborglyphs, the carvings sheepherders left in trees along grazing trails. Gulliford describes the lands, many now recreational, that were grazed by sheep herds in what was what he calls a working West, as sheepscapes. Sheepscapes, something that remains as proof of herds and herders once in the area. Stone cairns, stone corrals in the bottom of canyons, and arborglyphs all serve as these reminders. The carving of arborglyphs was primarily a Spanish tradition, he said, and was part of the way herders communicated to fellow herders through the decades. 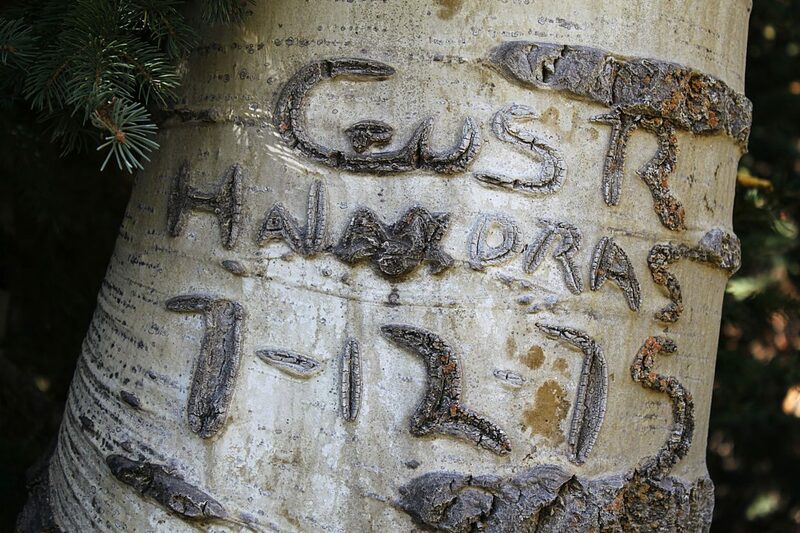 "I've found the same trees carved by the same herder moving his flock through in July over 20 years," he said. "It was really a place marker for the flocks and the herders. The golden era for arborglyph carving was probably the 1930s to the late 1960s." Gulliford said Spanish herders were replaced with Mexican herders and then Peruvian herders, though he said there is one sheep raising family in Wyoming who brings in herders from Nepal, necessitating the family's ability to speak Nepalese. In speaking at various churches, libraries, and events Gulliford said he has been told a wealth of poignant stories of Colorado sheep raising families. One such story, told to him in Cortez last month, was a woman who shared that her family was so poor during the Depression, that they gathered wool off fences and sagebrush to purchase a .22 rifle for the father to have to protect his sheep. In addition to research and interviewing the families that make the history of sheep in Colorado what it is, Gulliford is a hunter and outdoorsman and hikes and on public lands when the sheep come down in the fall.